Shardey White, Director of Human Resources at Articularis Healthcare Group, joined Low Country Rheumatology as a Front Desk Receptionist in May 2012. She has been promoted twice since her initial date of hire. 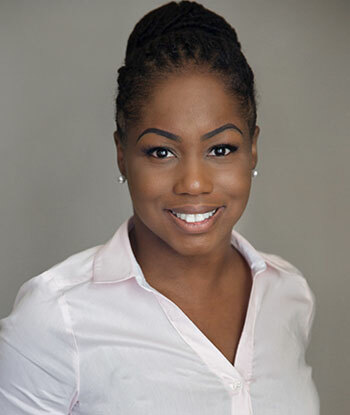 Shardey was promoted to her current position in November 2014, when Articularis Healthcare Group was formed. Her professional knowledge base includes employee relations, employee development, training, compensation management, benefit administration, and workers’ compensation. Shardey holds a Bachelor of Science in Psychology from Charleston Southern University, where she is currently working towards a Master’s in Business Administration. She is also certified through the Human Resources Certification Institute as a Professional in Human Resources (PHR) and is a member of the Society of Human Resource Management (SHRM). In her free time, Shardey enjoys spending time with her friends and family, traveling, and reading non-fiction novels.